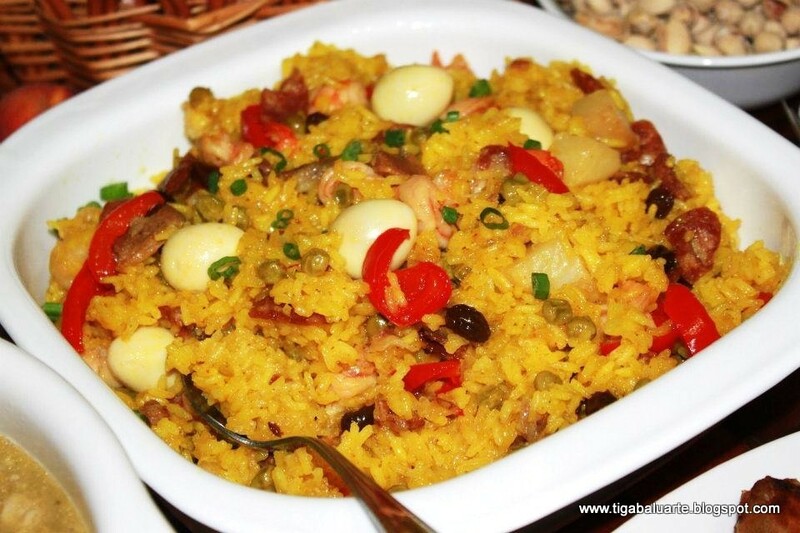 This Arroz Valenciana recipe is a must try. Great for parties or just because you want to cook something special for the family. Give it a try and let me know. 1. Boil sticky rice in 3 cups of water with turmeric powder. Once it starts boiling reduce heat to low. Simmer for few minutes then remove from heat. Set aside. 2. Saute crushed garlic, onion and pork. Add 1/2 water and simmer to soften the meat. Once meat is fully cooked and juice completely dries add chinese sausage, shrimp, potatoes, red bell pepper, snow peas and raisins. Season with salt and pepper. 3. Add the half cooked sticky rice with the sauteed ingredients. Mix well, cover wok and simmer in low heat for 8-10 minutes. 4. Garnish with quail eggs and green onions. Serve and enjoy. Thanks for the recipe this is the one I'm looking for as authentic Ilonggo Arroz valenciana as it could be....thanks again inday. My mother who passed away several decades ago had the same recipe but instead of turmeric she used star margarine to give the rice it's yellowish color . Today when cooking Arroz, I opted to follow her recipe and I am satisfied with the result. good for how many persons is this recipe? 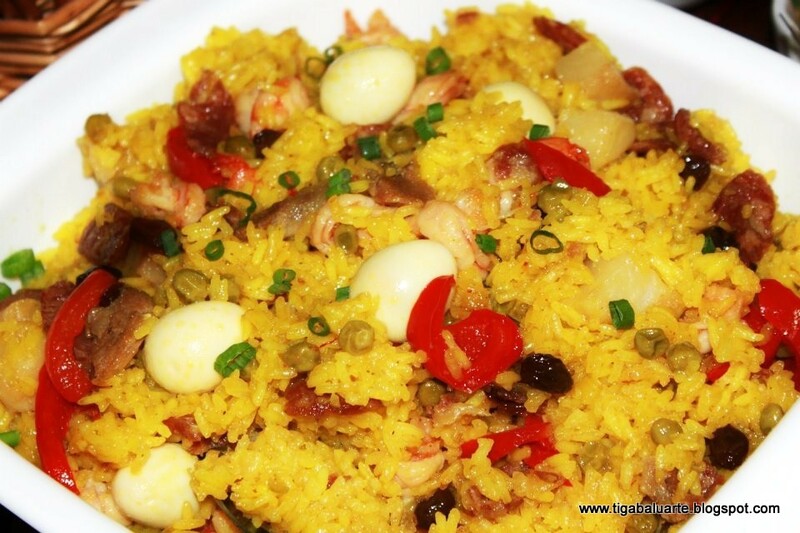 For me,according to my observation when my grandfather cooked arroz Valencia i was behind him actually it's a very easy to cooked even though more than just ingredients, then you justified on your own way to make it.. Thank you, I got the taste I'm looking for and happy indeed the whole family liked it. Happy New Year! being an Ilonggo myself (having a sweet tooth) I missed this dish a lot. My mother's way of cooking this is adding Evaporated milk to make it more creamier and pineapple juice (with crushed pineapple bits) to make it sweeter. She will add this late in cooking when she's just waiting for the rice to get fully cooked. Pineapple in Valencia sounds really good. I must try that next time. Thanks Ken for the idea. If one wants to be more traditional, after washing the sticky rice, it is mixed with turmeric extract (turmeric powder will do), then the rice is added to the sauteed meats allowing it to sautee a little bit to allow absorption of flavors before adding water or broth. Traditional Ilonggos do the sauteeing of the rice to make it more flavorful (and authentic! ).